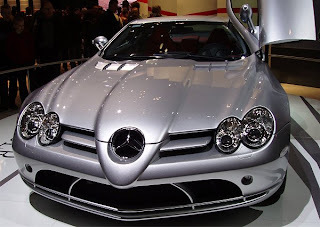 The Mercedes-Benz SLR McLaren is an Anglo-German grand tourer car jointly developed by Mercedes-Benz and McLaren Automotive, built in Portsmouth and the McLaren Technology Centre in Woking, Surrey, England and sold from 2003 to 2009. When it was developed, Mercedes-Benz owned 40 percent of the McLaren Group. 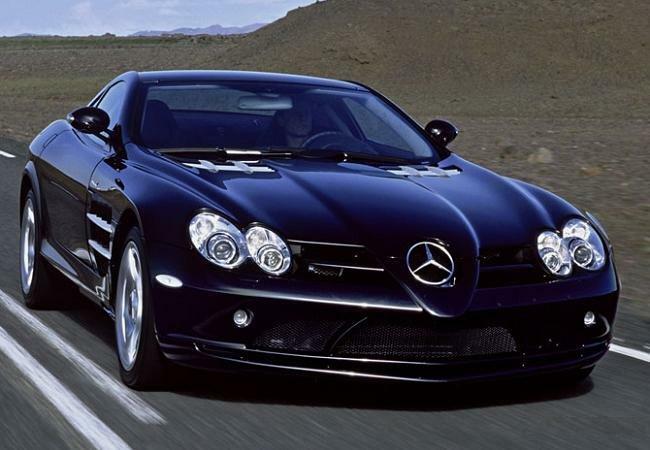 Due to the automatic gear box, front mid-engined arrangement, and its driving characteristics, some commentators classify the Mercedes-Benz SLR McLaren as a GT, whose rivals would be vehicles such as the Aston Martin DBS V12 and Ferrari 599 GTB Fiorano. 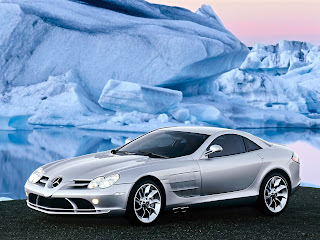 Mercedes-Benz SLR McLaren stands for "Sport, Leicht, Rennsport" (sport, light, racing). 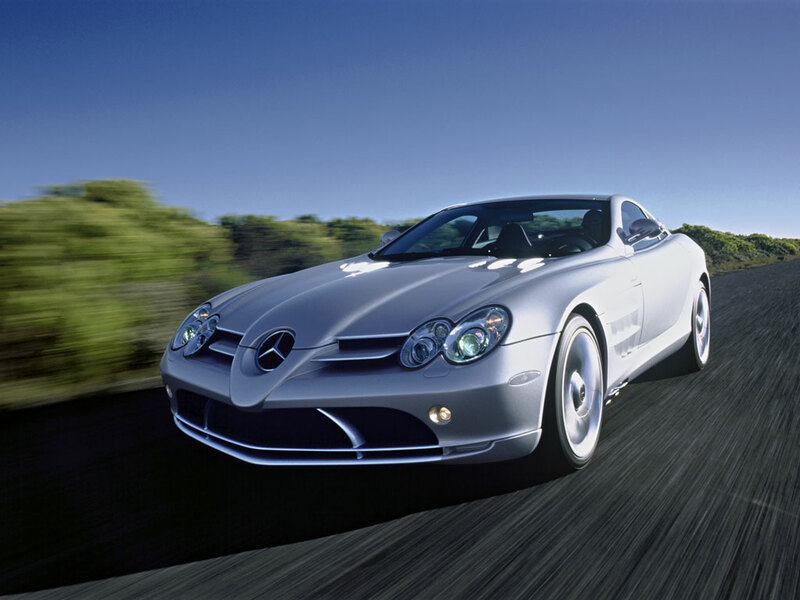 Mercedes-Benz stated that they would build 3,500 SLRs over seven years, with an annual production of 500 cars. The car's base price, GB£295,337 (approx. 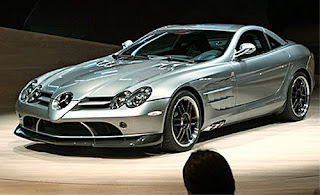 US$450,000, €350,000, CHF 500,000 or C$ 500,000. 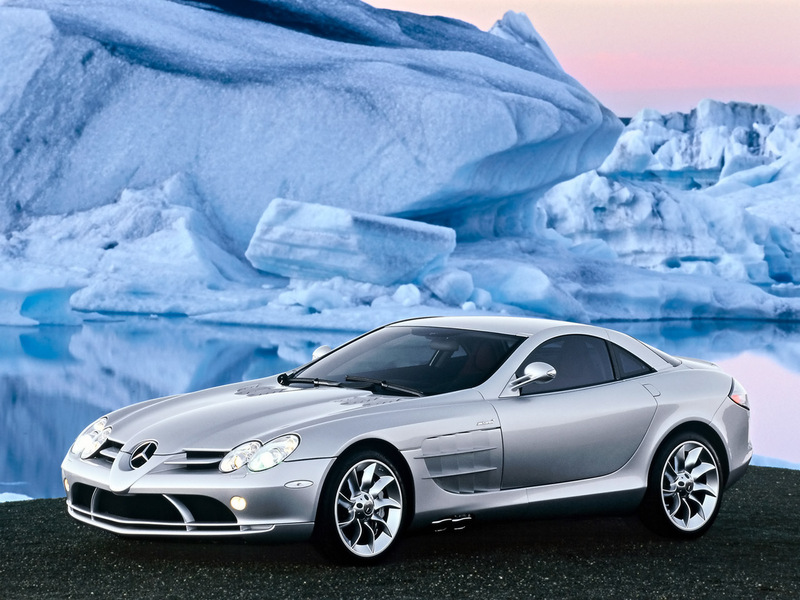 2009), made it the ninth most expensive street-legal car in the year 2008.